Amar Shaheed Baba Ajit Singh Jujhar Singh Memorial College, Punjab, Rupnagar, is an institution that was founded in the memory of Sahibzada Ajit Singh and Jujhar Singh. The institution came into existence on 6th February, 1975. 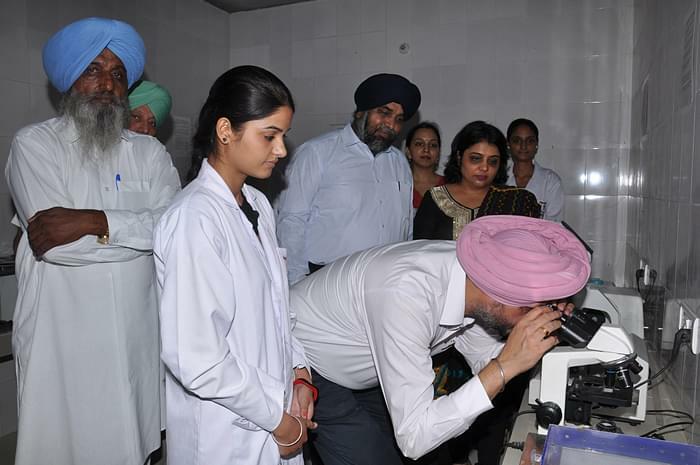 The main mission of Amar Shaheed Baba Ajit Singh Jujhar Singh Memorial College since its establishment has been to be a source of quality education to the youth of rural and economically backwards areas and enhance their professional skills. The motto is to develop socially aware individuals who can contribute well to the society. The college encourages not only quality education but also, many extracurricular activities that enable multi-dimensional development of the personalities of the students. The College has been active in encouraging reforms and changes that will enhance the development of the students, both academically as well as morally. The vision of the institution is to make all the students, career-oriented and provide quality education with valuable training. Why to Join Amar Shaheed Baba Ajit Singh Jujhar Singh Memorial College? 1. Encouraging Student Services: The College has various services made available to the students for better learning experience. It has a UCG resource centre that acts as an aid for the students and also the faculty for better use of computers and conduct better research over the internet. The college also has e-learning facilities. It also has a well-equipped library for the help of students and faculty members. The college also provides the students with hostels that are well managed and looked after by the authorities. 2. Renowned and class Placement and Training Activities: The College holds a separate department for Placement and Training activities. There are various companies who come in and recruit students for training programmes at their enterprises. 3. Sports and extracurricular activities: The College has various facilities for indoor and outdoor games for the recreation purpose of the students. It also conducts sports meets as well as Inter and Intra College sports tournaments. The institution also has the NSS and NCC departments which perform social service activities.